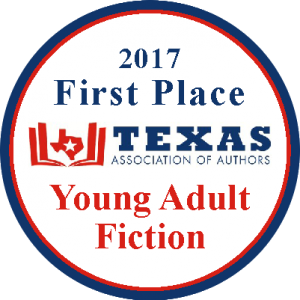 TEXAS – On 4 April, the Texas Association of Authors announced the 2017 winners of Best Of Texas Books published in 2016, which included a local Belton resident and author, Aaron M. Zook, Jr. who won First Place Author for YA Fiction. Aaron’s book, The Phantom of the Fortress, is an exciting mystery/adventure of two boys and their dogs Thunder and Lightning, and is the third in the Thunder and Lightning series. The winners of this year’s contest will receive their prestigious awards at the Celebration of Authors Gala event in Houston on 29 Jul 17 as part of the 2nd Annual Authors Marketing Event held 28-30 July 17. Aaron is currently writing Fly In Soup, Book #4 of his Thunder and Lightning book series, which will span twelve novels when complete. His books are available on his website, ZookBooks.org, and other well-known book websites such as BoldVisionBooks.com, TXAuthors.com, and Amazon.com. Aaron continues to do book-signings around Texas at military installations and local book store events, such as the Fort Hood PX and the McWha Bookstore in Belton, Texas. Aaron M. Zook, Jr. is a retired Army Colonel who has served his nation for over 32 years. He is currently the President of the Military Officers Association of America, Central Texas Chapter, and a local representative for Officers’ Christian Fellowship. He and his wife live by Belton Lake, have two married children, and four wonderful grandchildren.